Not quite a jigsaw puzzle, nor wooden blocks – they’re eclectic, they’re hip and they’re full of good ol’ fashioned learning fun – what is it you ask? It’s Hipster ABC from Tree Topper Toys! Learning the alphabet is made all the more fun with the Hipster ABC Matching Tile Set, whose Puzzled Blocks previously caught our eye. Teach your little hipster that M is for Moustache, G is for Glasses and B is for Bike (a fixie, no doubt). Printed by hand in the US, these lush birch plywood pieces are made large for small hands. 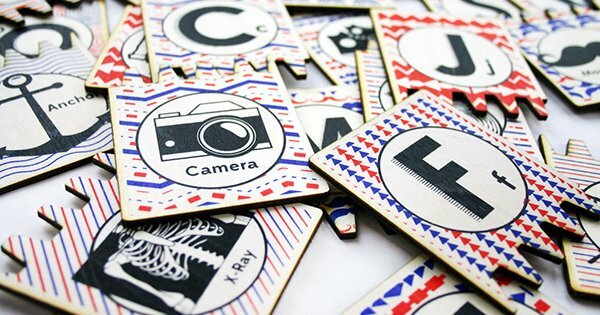 Hipster ABC consists of 26 alphabet letters and 26 unique red, blue and white coloured patterns, complete with silhouette pictures and words – a huge 52 interlocking pieces all up for some serious matching fun. A gorgeous learning toy made easy to gift when it comes packages in a beaut printed drawstring bag. 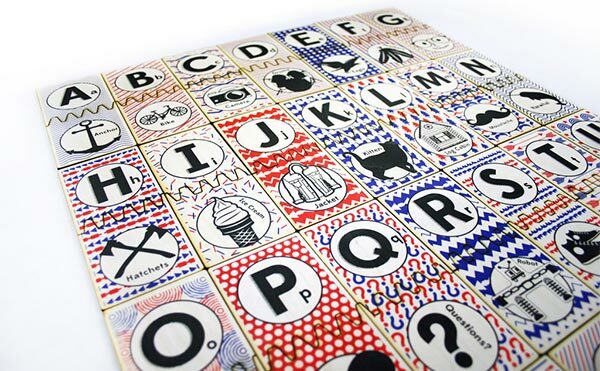 The Hipster ABC Matching Tile Set is available to pre-order now and as a bonus for doing so, all pre-orders will be matched with a limited edition wooden jigsaw puzzle, valued at US$15. Score! 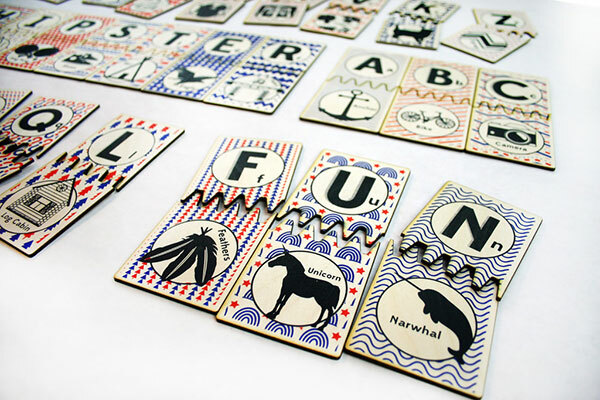 The Hipster ABC Matching Tile Set can be pre- ordered at Tree Hopper Toys and is priced US$35. Shipping to Australia is available or try local stockist William Topp.